For the last several years you've been seeing and hearing all about "the cloud". How everyone has it. How everyone thinks that it's great. And now you're learning that many businesses, including construction firms, are hopping aboard this cloud bandwagon. You've been dissatisfied with your firm software for awhile now. Maybe it's time to get yourself some of this cloud stuff, too. But what exactly is it? 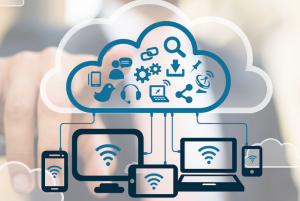 Cloud technology in a nutshell allows its users to enjoy all of the benefits of information technology without many of its constraints. It achieves this by offering these IT services directly over the internet. They are offered in one of three ways. IaaS, or Infrastructure As A Service provides users with "blocks" of storage that allow them to access different types of data through the provider. Your Kindle Fire uses this system to download those books and movies. PaaS, or Platform As A Service allows users to utilize the provider's infrastructure for their own purposes. This service is used most commonly by developers of websites and applications. SaaS, or Software As A Service allows users to access software directly from the internet. This means that users can access desired software from anywhere they have an internet connection by accessing it through a portal. They are brought immediately to it. There is no waiting for hours for it to download (tying computers up in the meantime) onto an office system. Software offered through this service can be used in the field and from other offices. Increasingly, this service is becoming available on mobile devices as well, in the form of applications. Not surprisingly, SaaS is quite popular in the business world, and is seen as an increasingly important piece of construction technology because of the mobility and flexibility that it allows. But as great as all of this emerging digital technology is, none of it is free. Is this a worthwhile construction technology to invest in, or will these cloud services turn out to be as unsubstantial as well, you know, clouds? And as any dedicated mobile device users would tell you, "there's an app for that", and one cloud based construction app that's providing particularly useful is Raken for daily reporting. With this construction cloud app, users can file and send a variety of reports in under ninety minutes, using a number of features including streaming video. The ability to do all of this from mobile devices means that filing can be done from a site or the field, saving projects time and money. And Raken's cloud based construction project management software is just one example of cloud technology that’s enhancing the work of construction firms. So rather than view cloud services than just one more flash in the pan, managers should be looking for the services that's right for them and joining other forward moving construction companies in the clouds.